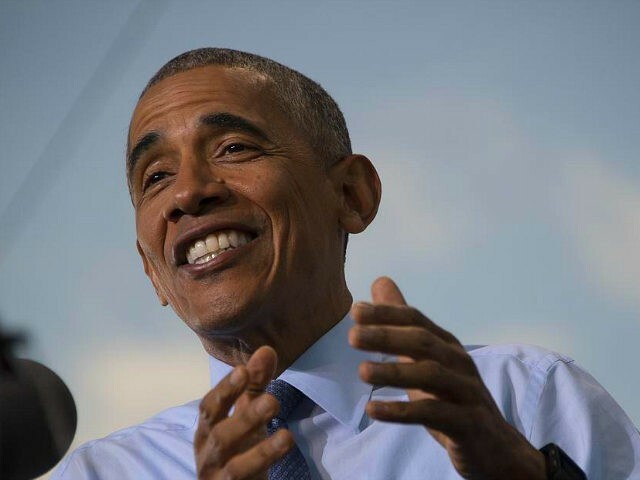 President Barack Obama ridiculed Republicans — particularly Christians — who said they forgave Donald Trump after a 2005 video was leaked featuring him making lewd comments about women. “I hear people saying, ‘I’m a Christian and so I’m all about forgiveness because nobody’s perfect,’” Obama said, adding that he himself was a Christian who believed in redemption for people who made mistakes. “If someone does something terrible … I can forgive ‘em, I suppose, if they’re sincere about it, but I don’t want them necessarily leading the country,” he said. Obama said that it was impossible for both Christians and Republicans to continue to denounce Trump’s comments but to still support him for president. He ridiculed Republicans for suddenly running away from Trump after standing by him despite offensive comments. Obama said that Trump’s comments about women were unacceptable, adding that someone who acted like that couldn’t get hired at a 7/11, let alone become president of the United States. “You don’t have to be a husband or father to say, ‘That’s not right.’ You just have to be a decent human being,” he said.